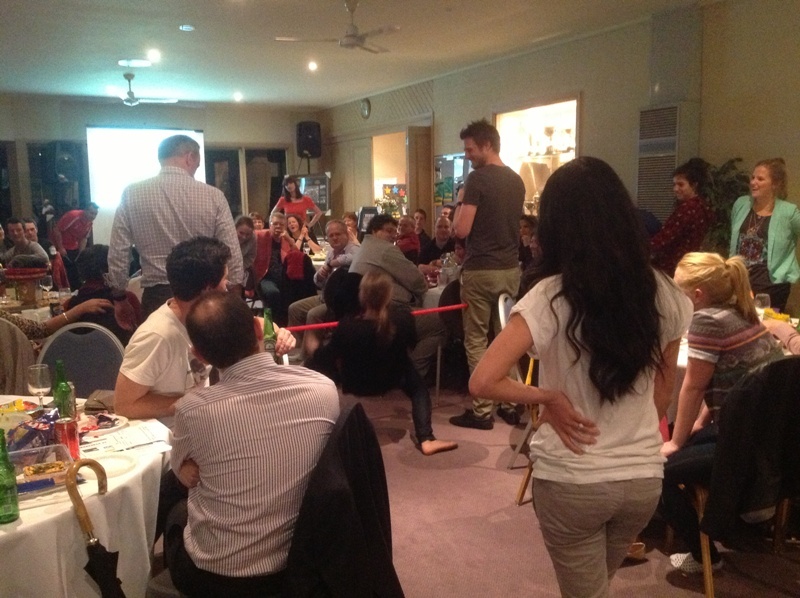 The MCC Glen Iris Valley Tennis Club has a function room available for hire to both members (at a discount) and non members. The function room boasts a spacious and comfortable area, complimented by beautiful views of the parkland and club facilities from the outdoor terrace. The indoor function room features a fully equipped kitchen and bar facility along with a welcoming open fire place and reverse cycle air conditioning system. This area also accommodates many entertaining opportunities, including a television, surround sound speakers and music system. 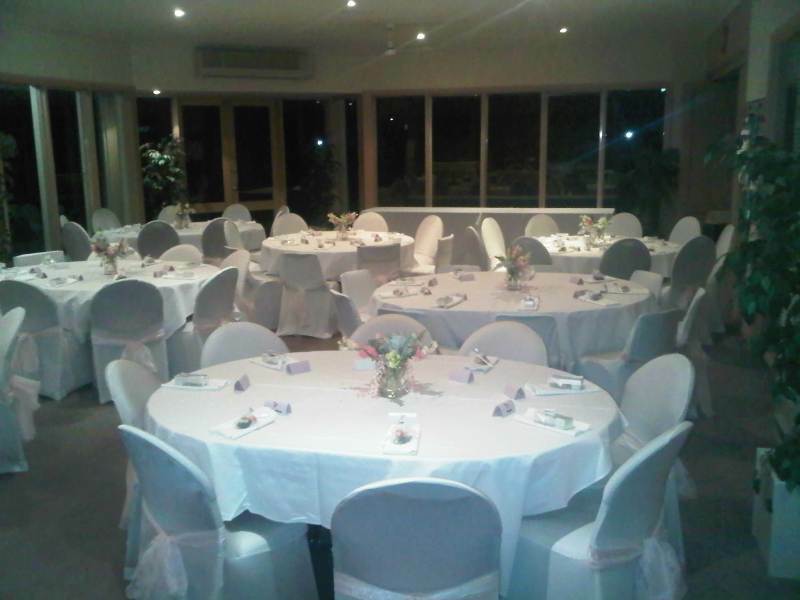 The venue accommodates many function types & opportunities for special event: Birthday’s, Anniversaries, Wedding Receptions, Engagement Parties, Celebrations, Corporate meetings, and Seminars. Liquor must not be sold on or from the premises. The hirer shall adopt a responsible attitude to the provision and consumption of liquor. Persons under the age of 18 years shall not be served liquor and identification shall be requested where there is doubt. Those adjudged to be intoxicated shall not be served liquor and not be permitted to drive their own vehicle. The hirer is responsible to take out their own Temporary Limited Liquor License permit by clicking on the following link and submitting their application. Your booking will not be confirmed until we receive you Temporary License. The cost of the license is $58.30 and is the cost of the hirer. Click Here to read more and apply for a Temporary Limited Liquor Licence. You will also recieve a step by step guide and letter of consent from the club with your application booking information. All items of furniture and equipment are to be returned to storage or their previous positions after use. No smoking is permitted inside the clubhouse. Immediately after use, floors are to be swept, mopped or vacuumed as required to return them to a clean condition at the conclusion of the function. Cleaning equipment is kept in the storeroom located in the entrance lobby. Rubbish must be bagged, removed from internal bins and placed in the external bins located downstairs opposite the tournament office. For evening functions the setting up and decorating of the pavilion is the responsibility of the hirer. Any decorations shall not involve the use of nails, glues, sprays etc., and shall be removed with care after use. No decorations should be affixed to the overhead fans. Club pennants hanging from the walls shall not be removed but may be covered by a sheet if desired. 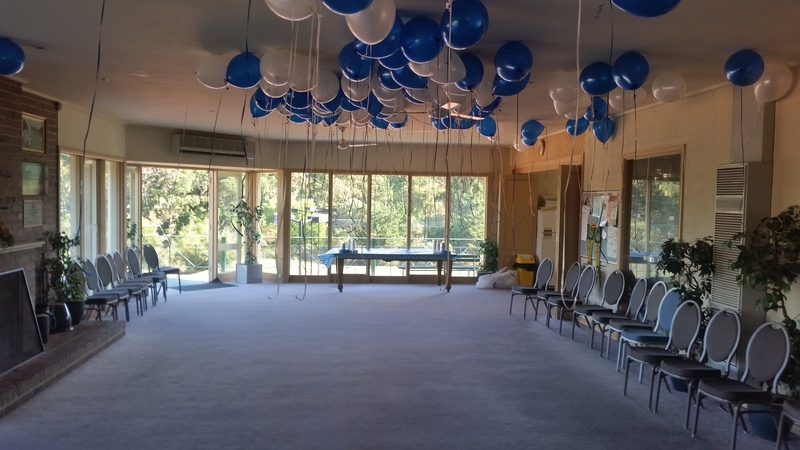 A dance floor may be brought to the Clubhouse but may not be laid until after 1.00pm on the day of the function. Please note that, for evening functions, limited access to the clubhouse is available before 6.00pm but subject to tennis teams completing afternoon teas. The hirer shall be responsible for the behaviour of its guests, and shall assign a responsible person to control entry to the clubhouse providing where appropriate a list of invited attendees. The use shall be restricted to the clubhouse and associated car park. Access to the golf course is prohibited at all times. A bond is required at the time of the booking. It shall be refunded within 7 days of the function at the satisfaction of the Club that the Clubhouse and surrounds have been cleaned and are undamaged. Any vehicles under the control of the hirer must be parked in the Club’s car park only and not in any street or road within the area. The hirer is responsible for the control of cars parking in the Club’s car park and not on adjoining lawn areas. The function associated with the Club’s facilities must not cause nuisance or annoyance to persons on surrounding properties. Amplified sound is not permitted to be heard beyond the Club’s facilities. Live bands are not permitted. The hirer is required to ensure that attendees leave the premises in a manner that will not adversely impact on adjoining residential areas. The function is required to cease no later than the above times (as applicable) with the clean-up to be completed within 1 hour thereafter. Please be considerate of our neighbours when leaving after functions. The hirer and/or guests may not wait in the street after function. The hirer shall not do, or neglect, or permit to be done, or left undone, anything which will affect the Club’s insurance policy or policies relative to fire or public risk in connection with the Club’s facilities. The hirer hereby agrees to indemnify, and hold indemnified the Club and its directors, office bearers, staff, contractors in respect of any action, suit, claim and demand which may be made against the Club. The hirer will be responsible for the replacement and/or repair of the Club’s facilities damaged as a result of the hirer’s function. In particular, if the carpet is damaged and/or requires cleaning the hirer shall be contacted by 12.00pm the following day to come to the pavilion to inspect the carpet. In this situation the hirer will be responsible for the cost for the cleaning/repair of the carpet. The maximum number of persons attending the clubhouse for the function shall not exceed 100. Fully equipped Kitchen: Microwave; Oven; Pie Warmer; Fridges x 2; Variety of utensils; and Cleaning materials. Bar: Fridge x 2; Glasses; Large Tubs x 2; and Sink. Chairs: 32 within the room; and 38 in storage. 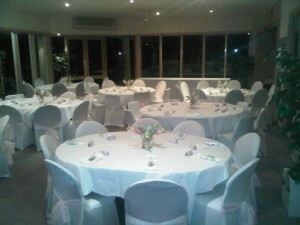 The venue is licensed for a maximum of 100 guests and there is the capacity to have the bar managed by the club or BYO. There are strict concluding and vacating times in place for each night (vary depending on the day) and all functions require prior approval by the manager and the board before final approval is given for the function to take place. 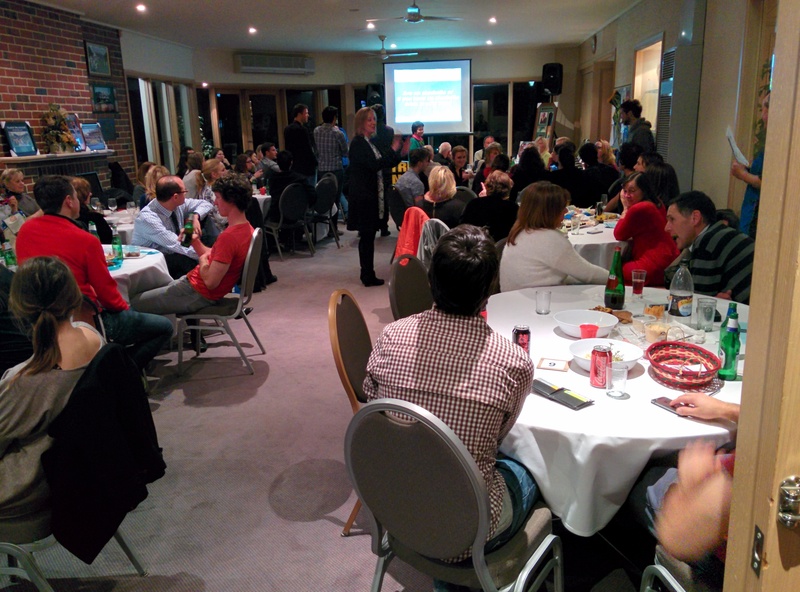 For more information, or if you are interested in hiring the function room please contact Kane Dewhurst by email at info@vidatennis.com.au or alternatively by phone on 0401 052 636.